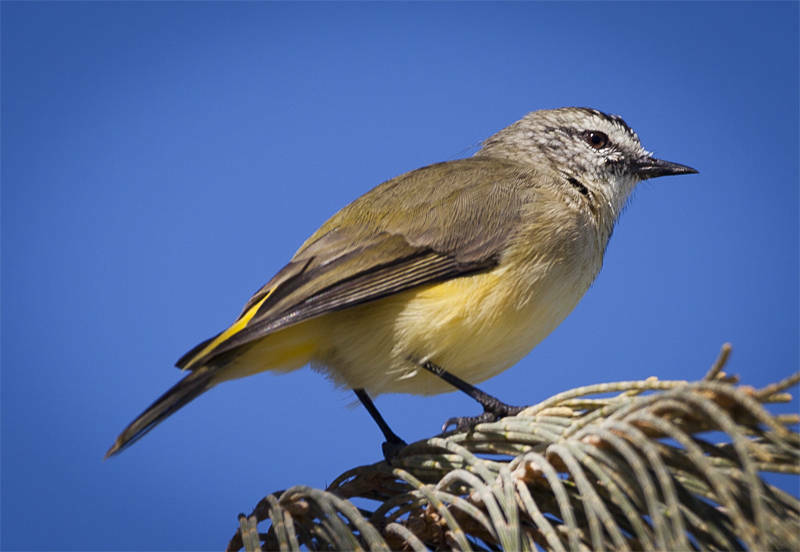 This is a Yellow-rumped thornbill, Also known as a Butterbum to Australian bird watchers. They feed on insects and seeds. They can also mimic the calls of other birds. I guess this makes them multilingual. This one was photographed on The Spit, Gold Coast, Queensland next to the set of the new Aquaman movie.